Free Ground Shipping. Usually ships in 1-2 business days. Ships from Texas. 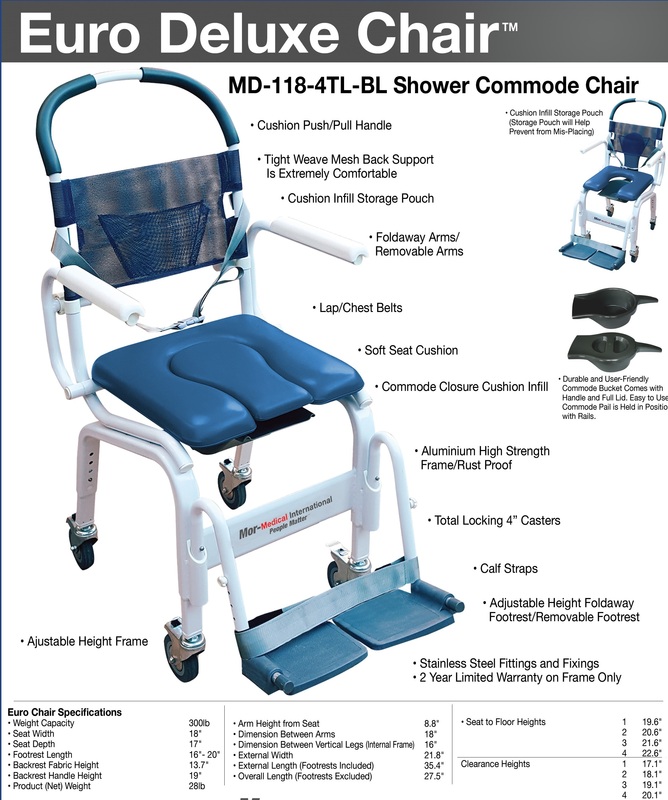 You will find our new Euro Shower Chair loaded with features at a great price. Adjustable Footrest Length 16"- 20"
Arm Height from Seat 8.8"
Over Length With Footrests 35.4"
Overall Length Without Footrests 27.5"
Seat to Floor Adjustable Heights: 19.6" - 20.6" - 21.6" - 22.6"
Rear Clearance Heights: 17" - 18" - 19" - 20"